Changing one’s reality ~ shifting timelines and entering Higher Dimensions of consciousness is the Metamorphosis of being ~ from one way to another. Beyond the minds current level of awareness of consciousness is the Divine power and the force of creation ~ that changes all matter, all levels, everywhere. These forces are Divinely orchestrated from the Higher Dimensions of consciousness. The levels and the dimensions are direct experiences that represent the levels. Initiating the changes within, has been the focus of all Mystery Schools everywhere. Harnessing the use of these powers has been the focus of magic. The Causal nature of these forces relate and activate differently, according to the levels of consciousness one is existing in. The mutation of cellular consciousness, through the direct impact of emotions, thoughts, and intentions and the vibrations they carry within the fluid nature of matter within your form. Is the bedrock and breeding ground that create the metamorphosis and shifts into your next level. The cause of your current level of thoughts, emotions and intentions are directly correlated to the dimension, to which you currently exist in. Shifting frequencies to the higher dimensions takes place through resonance with the higher dimensions. Since the next level is beyond our current level of awareness, what grants us access to this resonance that opens the door for our DNA to be impacted for this shift to take place. The initiating codes of Light ~ acting like seeds that awaken your DNA, are inherent within your Blueprint now. Your Blueprint carries all your activated and dormant seeds of consciousness as LIGHT information, that once fully activate, awaken and link up your awareness into all the Dimensions. The Light codes are frequencies that when activated ~ act like doorways, to Portals that link you to the initiations through resonance with the dimensions being initiated into. The fluid nature within your body and your DNA respond to this resonance. Being in the state of Harmony aligns you with the ease of metamorphosis as a natural way of being. All things shift and change. 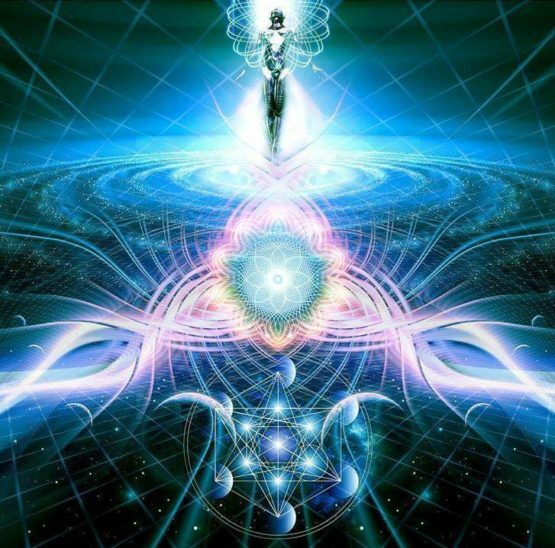 The Blueprint design for the Earth incarnation and ascension experience, carries all the information to be suddenly impacted ~ awakened and initiated into, the ascension and dimensional shift. Your DNA and is now shifting in resonance with the New Earth. With your Ascension. The Blue Avians, The Elohim and The Divine Council of Overseers, seeded the activation resonance and the initiation codes into this entire blueprint plan. To be on Earth, you function through this Blueprint system. When fully activated you will awaken in a new world. This New Earth world is a higher Dimensional Earth experience. You are being activated into the resonance of this new world now. You are now entering higher levels of initiation. Your thoughts, emotions and intentions are now in the initiation phase for your transportation of consciousness to this higher dimensional New Earth. And now a new day, a new life, a new way, a new level. Activating you now through the doorways to the resonance portals, seeded by the Divine Council of Overseers. Activating All Blueprints Everywhere, as on MU ~ so now here. As Above, So Below. And so it is, all NOW. This entry was posted in Uncategorized and tagged all things shift and change, ascension and dimentional shift, body is changing, DNA shifting, L'aura Pleiadian, love, NOW. Bookmark the permalink.